This year marks the 3rd Annual “Dirty 24” All-Star game. This event will feature 48 of the southeast regions hottest boys and girls high school senior basketball players in the country. 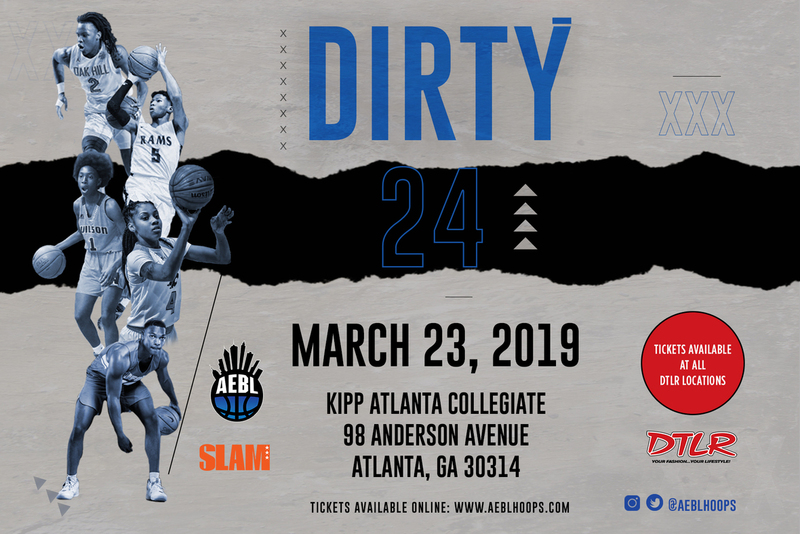 Hosted by DTLR and the Atlanta Entertainment Basketball League, the nominees include, 24 high school boys and 24 high school girls who have been chosen to compete in the 2019 “Dirty 24” All-Star game. These players will be selected by their peers and coaches based on their hard work in the classroom, athletic merit and social responsibility in their communities. Tickets Available Online at www.aeblhoops.com or Local DTLR Stores.